Today marks the third entry in the holiday traditions guest blogger series! Kiki from the Imaginist is a Hong Kong-based blogger whose refreshing photography and glimpses into city life always have me returning to her site. Here she is with her favorite winter festivities - visiting the decorated sites, along with lovely shots of her city. The final exams are just over. And Christmas is coming! 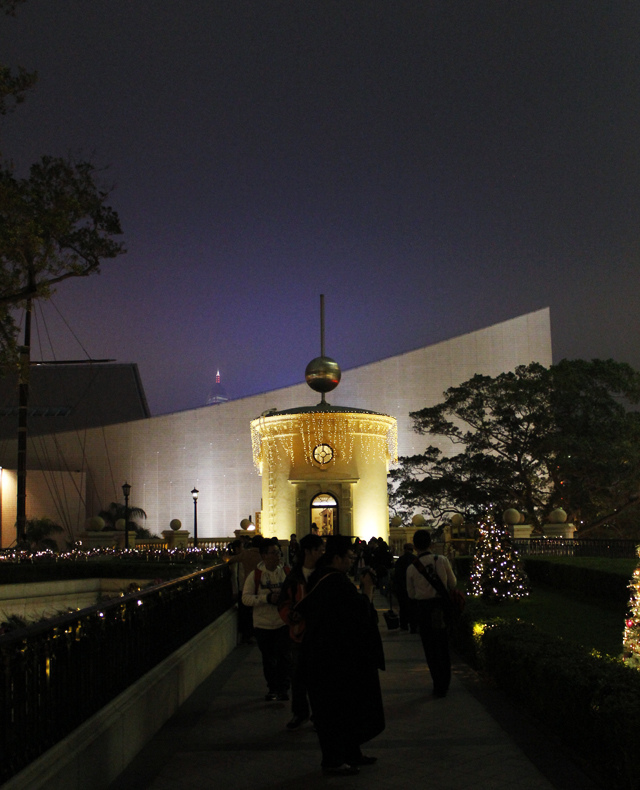 It is a great time for us to gather together, stroll around the city and enjoy our holidays! Viva holidays! Merry Christmas! When Lauren invited me to guest blog about holiday traditions in Hong Kong, Christmas decorations immediately sprang up to my mind. When it comes to Christmas, my family is quite "traditional Chinese" -- we do not have any fest to celebrate this western festival and just stay at home like an ordinary day. But sometimes, like most locals, we do go out to see the Christmas decorations, esp. 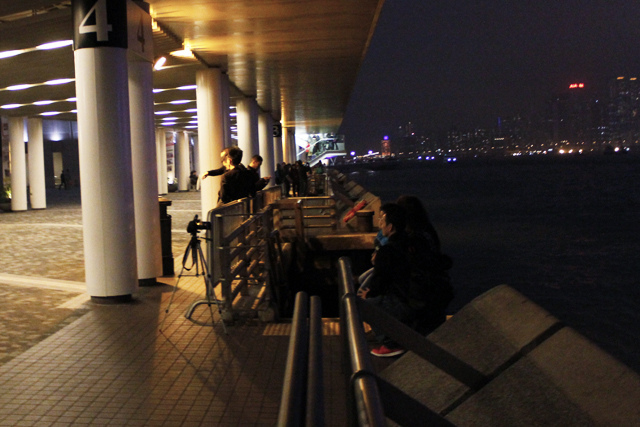 at Tsim Sha Tsui. Although, except Victoria Harbour, I am not really a fan of the Christmas decorations in various shopping malls or on the road, it is one of my great ways to experience the Christmas vibe. 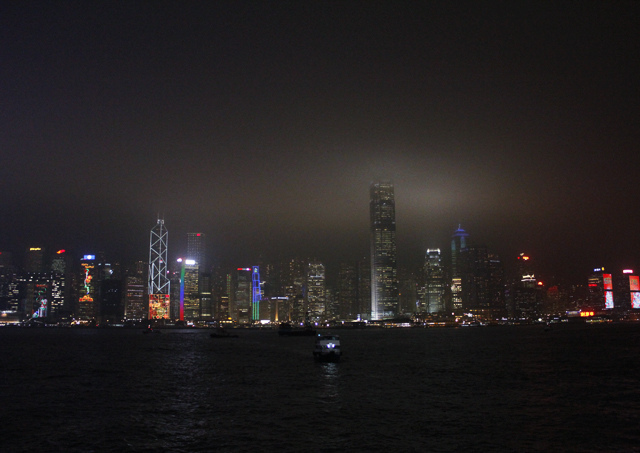 Night at Victoria Harbour. Actually you can see this brightly lit harbor all year, but the difference is Christmas-themed decor is put up on the buildings. I feel peaceful every time I look at this scene at night with the gentle breeze blowing over my face. 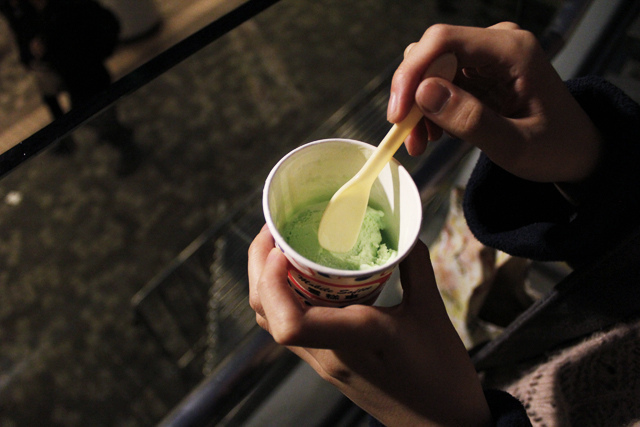 Winter, one of the best seasons to eat ice-cream. By the way, the tallest building is where Batman leapt off in The Dark Knight. A family was shooting photos with a tripod. Sweet and warm! 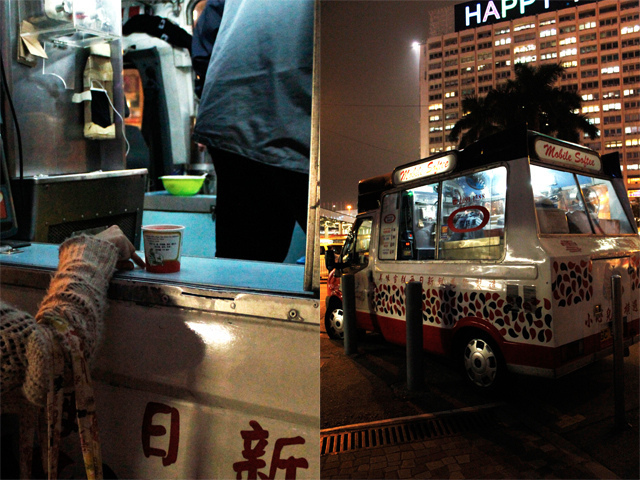 A Mobile Softee is always around the corner of a tourist spot like Victoria Harbour. Go grab an ice-cream if you see it. Yum! Be prepared. 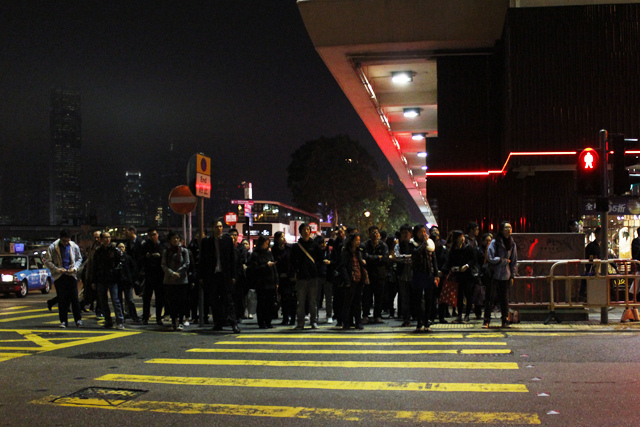 Crowds (and cars) are almost everywhere in Hong Kong. Near the harbour, there is a place called Heritage 1881. If you enjoy Christmas decorations you have to drop by. 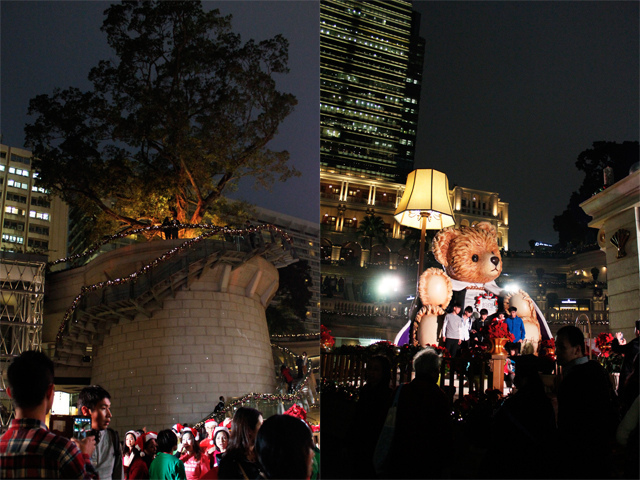 This year the main character is this giant bear. A lot of people were lining up to shoot photos with it. There are also many shopping malls in Tsim Sha Tsui with a lot of eye-catching decorations. 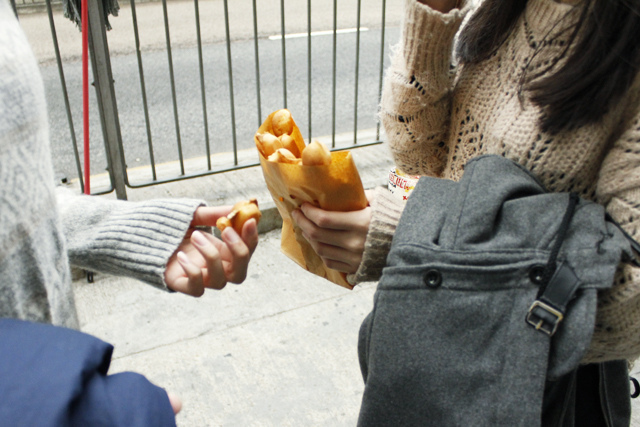 As soon as I met up with my friends on this day, we shared and ate a hot and freshly made eggette (雞蛋仔), a Hong Kong local street snack. Yum! 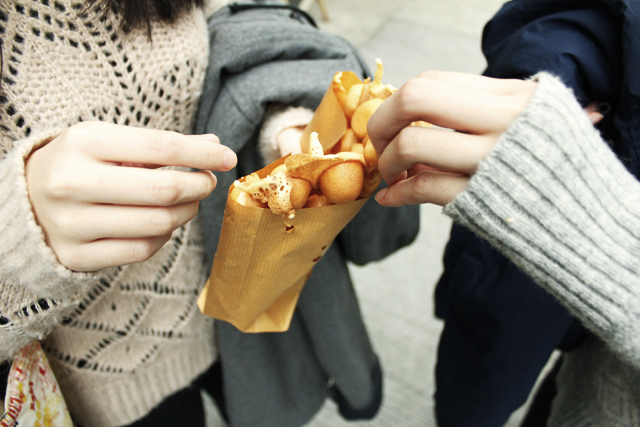 Something you have to try if you come to Hong Kong and want to experience the local taste. Thanks Kiki! Be sure to check out her blog and lovely Lookbook outfits here.